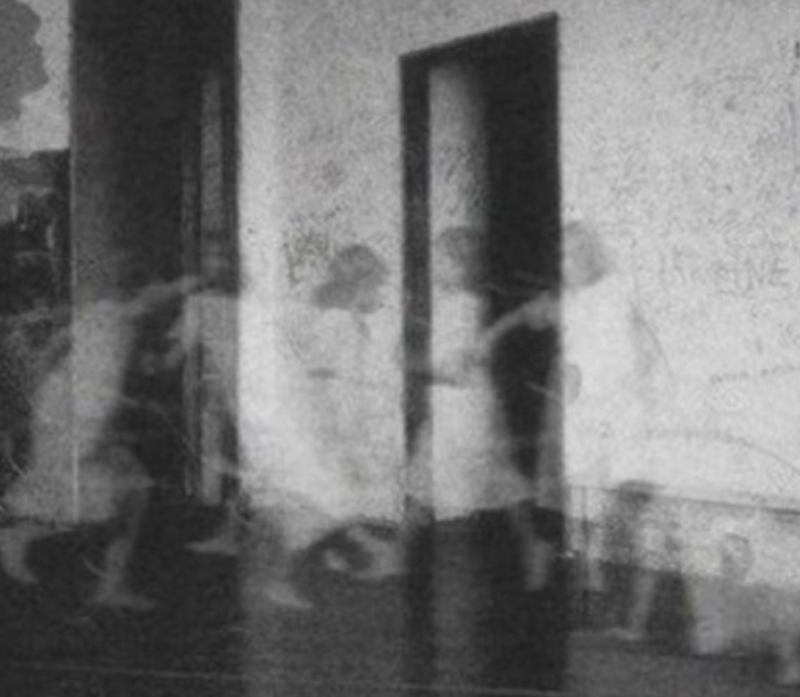 I continue my research this month with a deeper exploration of the concept of trans-generational haunting, an approach to psychoanalysis which I first wrote about in 2013. Since then I have undertaken much work at depth, with children and parents affected by parental alienation and I have come to understand that the most complex of these cases, those which we would call severe, are in fact trans-generational in nature and texture. I speak of texture because I am currently examining the routes by which the ‘hauntings’ which I observe in these families, seem to me to be all of a similar ‘flavour and flavour and texture are for me (a synesthete) closely linked.’ Jill Salzburg (2015), in her paper about the texture of traumatic transmission, speaks about the way in which families which are haunted by trauma, transmit this through the attachment relationship, largely between mothers and their infant children. This transmission, in this respect, is not spoken, it is a covert symptom which, rather than being something that can be listed, (as in the seventeen strategies of alienation which are curated by Amy J L Baker), are observed through close attention to the behavioural, language and responses to therapy, which are seen in some alienated children and parent to whom they are aligned. Those of us who work with alienated children and their families know that we are not working with one homogeneous group of people who all present in the same way. In fact, the only thing which the group of families affected by parental alienation have in common is that they contain a child or children who refuse a relationship with a parent they were once known to have loved dearly. Sorting out those children whose rejection is temporary from those who are bound into a trans-generational repetition of trauma (which I wrote about in 2013 and 2014 and which Nick wrote about in his work for the UK Government think tank – the Centre for Social Justice) from which they are unlikely to extract themselves from without help, is our first task when we work with these families. At the Family Separation Clinic we use internationally recognised standards of assessment as part of that process, including spending a good deal of time with a family to observe and understand the dynamics which have led to the presentation in the child which is seen. Because it is simply not the case that all families affected by a child’s unjustified rejection of a parent (we will leave the justified/unjustified argument out for now), will contain trans-generational transmission of trauma and it is simply not the case that intervening in families requires a one size fits all approach. Some families will be suitable for a structured therapeutic intervention, others will not. Some cases which are presented as being parental alienation will turn out not to be. Others will demonstrate the complexity of the severe alienation of the child which has the quality, symptoms and markers of trans-generational trauma repetition. Each of these ‘types’ will require a bespoke tailored treatment route to bring about swift and long lasting change, none of these can be dealt with using checklists and all require a relationally based intervention in which the parent who is being rejected works as co-therapist in the process of reunification. In differentiation work with children and parents who have not seen each other for some time, it is clear that for some children, the use of their voice to guide professionals has been the driving reason why the lack of contact has gone on for so long. It is as if no-one actually thought to simply put the child and parent in a room together to observe the outcome. For others, the binding to the parent they are enmeshed with is so clear in the part of the assessment where we see the child with each parent, that the symptoms of trans-generational haunting jumps, like a cat out of the bag. When we are confronted with the unremembered past through what appears to be completely irrational behavioural responses, not only in the child but in the parent they are aligned to, we know that something is being played out in the here and now which belongs not to this child and perhaps not even to this parent, but to someone somewhere who may not even be alive anymore. The ‘flavour’ of the trans-generational haunting pattern is particular, it is confusing and it can take some time to learn the ‘language’ which is being spoken by the family affected by it. Being close to this dynamic is as fascinating as it is fear inducing, it is a dynamic which is as imperious as it is dysfunctional and it is devastating to the child and their childhood when it appears. I see these cases as vampirism of the child’s soul. It is the theft of the unconscious right to childhood in return for the feeding of the parental need for something. That something is often unspoken and unspeakable and it is defended strongly and repeatedly. These are the parents who when everyone else shouts ‘stop, we can see what you are doing’, refuses to stop and continues to search blindly for someone or something else to project the blame onto. These are the litigious, complaining, often terrifying parents who will not stop because they cannot stop, because what they are defended against is the ghost of the unremembered past which forces them onwards in their quest to protect themselves from the horror which lurks somewhere. Most often the terror which lurks resides in their own mind. Tracking the ghosts of the unremembered past is what I am doing currently in my research work. Finding out from within those families where this dynamic occurs, what went on before, and before that and before that, opens up the language of the family which reveals the hidden secrets. As Abraham and Torok (1994, page 12) tell us in the Shell and the Kernel, ’explicit acknowledgment of the full extent and ramifications of the patient’s suffering is one of the analysts functions. In working with parental alienation however, the trans-generational therapist cannot open up the language of the family without first protecting the child in the here and now who is being haunted by the ghost of the unremembered past. Children first, reconfiguration of the family dynamic second, sealing off the conduit for further haunting is the overall goal. What is emerging from this work is a form of adapted therapy which can be used with children affected by severe parental alienation and the parent they have rejected in order to bring about the cognitive shifts in understanding which liberate the child from the shackles of the unremembered past. It is a therapy which interlocks with the Court (which is the only mechanism by which the power over the child which is exerted with great force in trans-generational cases can be shifted), to a place where intervention is possible because space is made for it. It is a whole family approach, it includes the parent the child is aligned to and it puts the child at the forefront by protecting and healing them first. Betwixt and between, in those liminal spaces, lie the clues we seek to understand. And when we understand we are equipped to help and heal. Locating the family in time and place and then examining the two strands of family which came together to make this alienated child, gives us the clues we need to understand why this, why now. An archeological dig of the trans personal life of the family is the route we take to unearth the evidence. An understanding of the psycho-socio-cultural landscape this family grew from, further contextualises our understanding of how this happened. When we know how this happened we know what to do to unravel the ties that bind and exorcise the ghosts. Much trans-generational study and therapy comes from wide scale traumatic events such as disaster, war or other generational suffering. My view of the hauntings I see in parental alienation cases is that they are the unrecognised and unacknowledged result of fifty years of divorce and separation, a crisis in our relational world which has simply been ignored. I know that many children get across the divide which opens up after divorce and separation and cope with it. Others don’t. Still more are left haunted, unknown because unlooked for, unacknowledged, unheard and desperately unhappy. It is time to help these children to heal. SALZBERG, J. (2015), THE TEXTURE OF TRAUMATIC ATTACHMENT: PRESENCE AND GHOSTLY ABSENCE IN TRANSGENERATIONAL TRANSMISSION. The Psychoanalytic Quarterly, 84: 21-46. doi:10.1002/j.2167-4086.2015.00002. ABRAHAMS, N. & TOROK, M. (1994) THE SHELL AND THE KERNEL. CHICAGO PRESS, LONDON. We are currently convening our UK training group for 2019. This is a group which will work with us intensively in training, mentoring and supervision. If you are interested in joining this training, which is in London in April over two days, please email us at office@familyseparationclinic.co.uk. Please note that to join this training group you must already hold a qualification in either: Social Work, Counselling, Therapy, Mediation or Coaching. Cost of training and one year’s group work is £1200 plus VAT. Training only is £600 plus VAT. Payment plans for those practitioners taking up the full year’s training and mentoring are offered over 6-12 months. This is a training group of a maximum of eight practitioners, with five places still available. This training will equip you to work to internationally recognised standards which are curated by EAPAP. We welcome practitioners from other countries providing that you are able to use English as the training language. Email office@familyseparationclinic.co.uk and mark your email – UK Training Group 2019. When divorce began to be promoted (in particular) as the path to female freedom – somehow no-one remembered that the relationship with children needed to stay profoundly “until death do us part”? Your work reminds us (how could we ever have imagined otherwise?) that it simply not possible to divorce children from their parents without causing extreme trauma. How long might this take to reach popular consciousness…and how on earth do we reconcile the hugely conflicting demands of freedom and responsibility? Amazing insight…. Someone who gets it is very very rare. Thanks. I think Karen more than just “gets” what we go through. She’s going far beyond that to provide new insight as to why this is happening. Humans have had to carry a lot of trauma as a result of parental absence – from long before the feminists came along. I suspect they’ve just been able to tap into that deep intergenerational well of pain we didn’t even realise was there. These are litigious, complaining, often terrifying parents who will not stop because they cannot stop, because what they are defended against is the ghost of the unremembered past which forces them onwards in their quest to protect themselves from the horror which lurks somewhere. Most often the terror which lurks resides in their own mind. Can this describe why in court assessments my ex husband has been labelled as alienating but doing so non maliciously??? I have seen the blind terror he displays when he comes face to face with me ‘ it’s bizarre’, he also uses my daughter in correspondence stating ‘this is how she feels’ and its clearly all about his own adult feelings and he projects them through her. At the beginning of the alienating process, he had really made my eldest daughter feel terrified of me with statements like telling her to run away if she didn’t feel safe with Mummy. His family history and mine follow what you have stated above. I was looking for a post by Misandry Today on YouTube where he exposes the blatant “hate speech” of a feminist professor in a recent article – matching it with that of standard American feminist studies textbook, that I watched just a day or so ago – but it already seems to have been taken down. From a psychosocial point of view – it does however beggar belief that such an outpouring of hatred all over the world – towards men; is something that could simply be fabricated out of thin air? I wonder if this larger phenomenon – of which parental alienation is just a particularly vicious manifestation – has emerged out of a transgenerational anger that has been building up like an underground oceanic volcano? What anger? Is it possibly something most of us have to some degree (i.e. both men and women) a grief arising from the devastation of the “absent father” – in particular? The father not necessarily absent by choice – but simply because he was working too hard…or too far away – or was lost to them in one of the myriad dangers which were part and parcel of the male role? Even criminal activity and the subsequent incarcerations/punishments can be seen in this light. Or if he survived – the effect of the emotional blunting which had to be to allow him to function in those capacities…i.e. to sacrifice either his life, limb, freedom or emotional capacity – in the service of women and children? In my own case this was a father who felt that his role was to dedicate himself to religious service (something that, in one way or another, goes back several generations in our family) so that we children were really a hindrance and distraction from that? Everyone would have their own story. I’m not saying that the loss of a mother, say in childbirth – wasn’t equally devastating…but although it tragically did happen – wasn’t the everyday norm – whereas father absence, either physically or emotionally – largely has been…ironically…until things have started to change somewhat widely, more recently? Maybe, subconciously – we have started to realise our bereavement all along? Misandry Today is the YouTube outlet for ‘Bob Lewis’ – actually a male presenting transgender lesbian. Extroadinarily gifted person, incredibly well placed to expose the ‘Feminist Lie’ (title of his book) that feminisim was ever actually about equality. This was quite dramtically confirmed for me on one occasion. Past readers may recall how a senior Labour feminist activist at the “Women of the World” conference on the SouthBank – angrily stamped her foot and insisted that if I wanted feminism to be about equality – I had better go and “start another movement”!! Karen, sometimes even the obvious is missed by those who profess to be professionals or don’t have the our age of their convictions! I was put into a room with my son and had the social worker and GAL watching through a window (like they have in an interview room for a suspected criminal) sets the scene just lovely!! Both my visits went so well with my son, we laughed, we cried and hugged so tightly cause I didn’t want to let him go! Next day his father contacted the GAL and said my son never wanted to see me again and wanted to tell the judge! His father and paternal grandmother brought him to court, he spoke to the judge and the judge stopped him in his tracks and asked the GAL if she thought this was what my son truly wanted, to which she said no and told the judge what she had witnessed between us at the contact centre. The judge then said he felt my son was simply repeating what he had been told and stated that contact arrangements should be set up! His father told the judge he would run away if he was forced to see me again!! They weren’t set up and I’ve had no contact from my son since, I still do his birthdays and Christmas cards but get no reply! System only works if the alienating parent isn’t given the time to twist the child/childrens heads! !